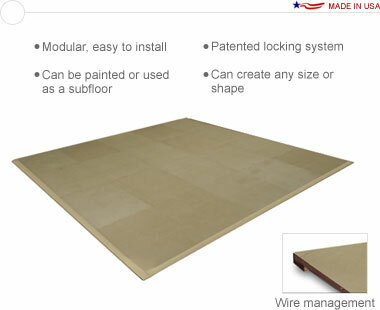 10′ × 10′ MDF flooring created from a set of interlocking sections that can make any size or shape, and be painted any color. Can be used as a sub-floor. Spacing underneath the flooring allows for wire, water and gas management. This is a complete package including: tools, edging pieces, shipping crate, and instructions. 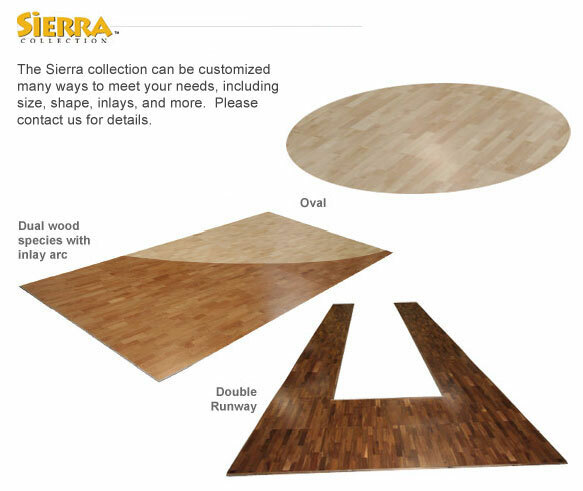 The flat shipping rate for this package is $609.00 USD for standard delivery within the continental United States. Alternative shipping methods and International shipments are available; please contact for a quote.